The University today is associated with offering students from across the world a unique set of exceptional educational experiences. For over 40 years, a Symbiosis education has translated into a solid foundation for its students for a lifetime of learning and growing. Symbiosis graduates have achieved success in a wide variety of fields around the world. 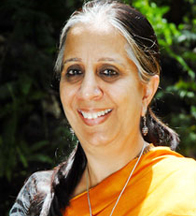 Dr. Jyoti Chandiramani has more than 28 years of experience, teaching a wide range of subjects such as, International Trade Policy, International Organization and Regional Cooperation, Urban Development Economics, Managerial Economics, International Economics, Indian Banking & Financial System at the Undergraduate and Post Graduate level. Mr. Shirish Sahasrabudhe has been shouldering the responsibility as the Director of ELTIS-SSFIL, since Sept 2006.With a rich industrial and commercial experience and wide exposure to print media, today he is putting in a lot of efforts to give ELTIS-SSFIL a corporate recognition. He has been a visiting faculty at various media schools under University of Pune and also at SIMC for over 10 years. With a flair for writing. Established in 1972 to impart English Language Skills to International Students, ELTIS is the eldest member of the prestigious Symbiosis family of educational institutions. ELTIS was the first institute started by Dr. S. B. Mujumdar, founder and president of Symbiosis. It was started with a view to help the International Students acquire a reasonable command over the English language, so as to facilitate further education through English medium. ELTIS had a modest beginning: it started in 2 small rooms with 2 teachers. Today it has grown to the stature of one of the best language schools of India. It is today a proud constituent of Symbiosis International (Deemed University) accreditated with “A” grade by NAAC. International students learn English as a full-time foundation course with us. We have had students of 45 nationalities :Afghanistan, Angola, Brazil, Bahrain, Burundi, Czech Republic, China, Congo, Cameroun, Chad, Djibouti, Dubai, Egypt, Eritrea, Ethiopia, France, Great Britain, Italy, Iran, Iraq, Ivory Coast, Japan, Jordan, Korea, Libya, Mongolia, Mozambique, Myanmar, Nigeria, Nepal, Niger, Oman, Peru, Palestine, Qatar, Russia, Spain, Saudi Arabia, Sudan, Syria, Thailand, Tanzania, Uzbekistan, Vietnam & Yemen. In the field of education, Symbiosis has created a brand which stands incredible. With four decades of contribution to the field of education, Symbiosis International (Deemed University) set out to establish the Symbiosis School of Economics in 2008. Presently, the institute offers the undergraduate and post graduate degree in Economics, besides a number of certificate courses. It is our endeavor at SSE to create an institution with a strong commitment to society. The program at SSE is devised to create and cradle a new class of budding academicians and professionals, whose strong foundation is laid through the multi-disciplinary framework- which besides including pure Economics has a designed bent towards, Mathematics, Statistics, Finance, Environment and Politics. The environment here is disciplined and rigorous, at the same time giving plenty of scope for creativity, originality and student initiatives. The academic environment at SSE prepares our students to cope with difficult tasks, time management and inflexibility, grooming them for life ahead. The philosophy at SSE encourages an open door approach, open to feedback and constructive criticism creating a ground for a sound learning experience. Dr. Jyoti Chandiramani has more than 28 years of experience, teaching a wide range of subjects such as, International Trade Policy, International Organization and Regional Cooperation, Urban Development Economics, Managerial Economics, International Economics, Indian Banking & Financial System at the Undergraduate and Post Graduate level. She has completed her Ph.D. from Pune University, on “Foreign Direct Investment & Corporate Response: An Empirical Study With Reference To Structure & Growth of a Select Sample of Firms in India”. She has conducted more than 50 Management Development Programs for corporates, such as WIPRO, AZTEC, HP, Intel, Godrej, Zensar Technologies, WNS, Cognizant, EXL, Deloitte, Deutsche Bank, Continum Solutions, Dr. Reddy’s etc. 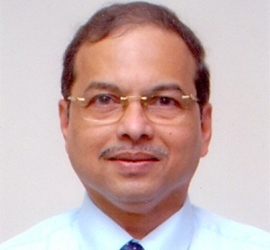 Besides writing research papers, Dr. Chandiramani has also presented papers at national and international conferences and seminars, and has authored and edited four books: i) International Economics (2002 and Revised Edition 2007) ii) International Trade for Symbiosis Centre for Distance Learning(SCDL) iii) Co-authored a book on Rural Development and Cooperation (SCDL) and iv) Jointly Edited a book with Ramanath Jha on ‘Perspectives in Urban Development: Issues in Infrastructure, Planning and Governance’. In 2007, Dr Jyoti was awarded a short-term scholarship at the University of DePauw, Indianapolis - to study Liberal Arts Education and has been a Founder Core Committee Member of the Symbiosis Centre for Liberal Arts. 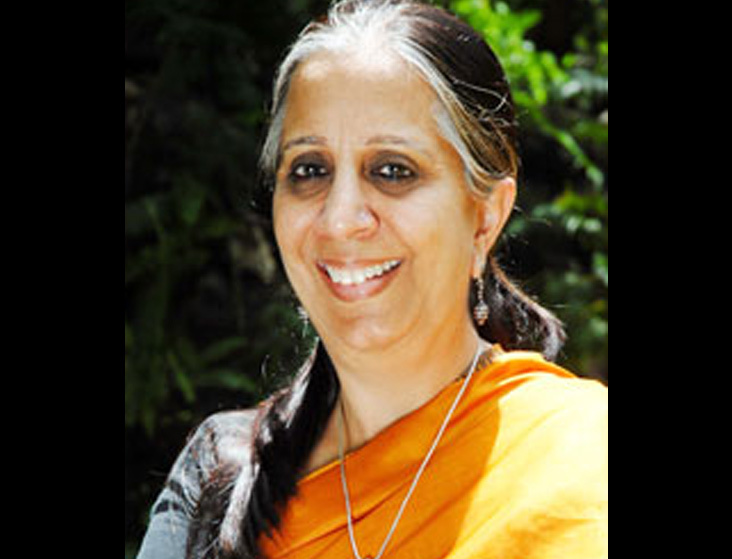 Dr. Anita Patankar has more than 27 years of teaching experience. She teaches various courses in Marketing specially a course on Advertising and Contemporary Culture. Mrs Patankar has authored various books on Marketing and Business Administration and also published research papers. She has conducted intensive workshops for students in Marketing and also scripted and acted in educational films. The purpose of an education is to equip you with the skills needed to live your life to the optimum, within the surroundings that you find yourself in. To be able to do this, one needs to have a certain vitality about oneself in addition to being multi-dimensional. A liberal arts education, in it's open flow of subjects and courses through the arts, sciences and business, offers a willing individual precisely these two qualities. What distinguishes a liberal arts program from other 'traditional' courses is that every student would have to study subjects from across the academic spectrum. One could major in Biology and pick Philosophy as a minor. Alternatively, one could major in Mathematics or Business Studies while simultaneously working on a History minor. Exposure to these diverse fields in a conducive learning environment is what has made liberal arts the chosen field of study of opinion leaders such as Bill Clinton, Barack Obama and Bill Gates. Liberal arts is gaining currency as a preferred format of study the world over, especially in societies and countries that have come to realise that merely being placed in a job is not the sole aim of a well rounded education. Sure, job opportunities are important and necessary, but they aren't the be all and end all. A liberal arts degree program offers students everything that a traditional BA or BSc does, and more. The liberal arts approach is attractive precisely because it equips one with all the technical and academic knowledge to excel in one's chosen field of study, while simultaneously enriching one's knowledge base with other skills and knowledge sets that no doubt supplement a core domain. In the contemporary scenario, India’s interest in the world as well as the world’s interest in India is visibly at its highest. Therefore it becomes imperative that the Indian scholarship on global issues should respond to these challenges, as well as the diverse opportunities this unfolds. The Symbiosis Institute of International Studies endeavors to provide a platform for teaching and research on International Relations, focusing on India, the Global affairs and the issues of global concerns. Set up in consonance with the broader vision of Symbiosis Society, which is “to integrate with the world”, the SIIS strives to constantly engage in scholarly pursuits in an environment of intellectual fellowship, aimed at the academic enrichment of the entire community. With a promise to offer an in-depth understanding of the forces and institutions that shape the relations between States and the Governments of societies across the globe, the SIIS will give to the prospective students the access to world class experts in international relations. It is a truism that the complex challenges facing the global community demand knowledge and expertise that transcend disciplinary boundaries. The students and research scholars at the SIIS build on experiences and resources to uniquely equip with the analytical and professional skills needed to understand and tackle the major challenges confronting the international community. Ms. Shivali Lawale has an M.Phil in International Cooperation in Education and Training from the Sorbonne University and an M.A. in International Relations from the prestigious University of Bath and Sciences Po, Paris. She also has an M.A. and M.Phil in French Translation studies from Pondicherry University. 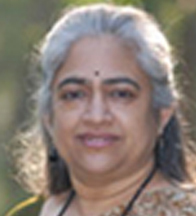 Sharvari Shukla has been a Bio-statistician at research institute since 1998. She has 10+years of experience in medical statistics & data management in healthcare and epidemiology & life sciences domain, and 6+ years of experience as consultant statistician for various CROs, pharmaceutical companies and hospitals. Her interest in translating research into practice led her to undergo training in epidemiology, epigenetics and clinical trials. Besides teaching at postgraduate programmes, she handles various national and international funded projects. Sharvari Shukla works with a team of epidemiologists and clinical scientists investigating the fetal origins of cardiovascular disease and Type 2 diabetes. Her fields of expertise include longitudinal data analysis, modelling and simulation, clinical trials, research methodology, and population studies. She has to her credits research papers published in journals of international and national repute. She is recipient of various fellowships including GEoCODE, Elmar award, UK and WHO scholarship. Statistical thinking and analysis is required in almost all areas of natural and social sciences, technology; and industrial research and development. Advent and expansion of Information Technology in almost all domains of life has increased the significance of ‘Data-Science and Technology’ with a need for specialized academic courses at the interface of Statistics and Informatics. The first step towards solving a problem is we need to acknowledge the problem and second step is to find a solution for the same. At Symbiosis Statistical Institute (SSI), education and training primarily focuses on key features of nurturing the curious minds towards translation and application of statistical knowledge to find solution to real-world problems. As quality is often more important than quantity, keeping a practical-intensive approach, Masters of Science programme in Applied Statistics, offers exposure to fields including Operation Research, Biostatistics, Actuarial Statistics and Data Science. SSI will ensure that students will being exposed to high levels of learning which will arm them with adequate proficiency in the use of advanced statistical softwares. This path-breaking programme will help in preparing the next generation statistician ready for scientific decision-making, aided with advanced statistical software translating into sharp and extensive analytics, pertinent to various domains. The programme will be supported with advanced methodologies, applicable statistical software packages like SAS, R, SPSS, STATA etc translating into sharp and extensive analytics, pertinent to various domains, aiding students and organization for scientific decision-making. Website last updated on : April 25 2019 10:10:18.